At least 200 business executives participated in an industry day held Wednesday by the General Services Administration and the Agriculture Department to discuss plans for the second phase of the centers for excellence program for information technology modernization. GSA said Wednesday the event serves as an introduction to a two-day “reverse industry day” that seeks to gather insights to help develop the solicitations for the CoE initiative’s Phase II with USDA. “Phase II delivers on Secretary [Sonny] Perdue’s vision for an organization that is increasingly fact-based, data-driven and customer-focused,” said Gary Washington, chief information officer at USDA. “This modernization will provide the best customer experience for citizens, improve operational efficiency, introduce emerging technologies and ensure that our leaders have the information they need to make informed decisions,” Washington added. The CoEs seek to leverage public services and commercial innovations to advance IT modernization efforts across the government such as infrastructure optimization; cloud adoption; service delivery analytics; contact centers; and customer experience. 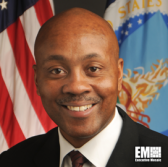 The industry day for the program’s Phase II came three months after GSA awarded contracts to four companies to provide IT support services for the five CoEs and perform work at USDA, which serves as the first “lighthouse agency” for the initiative.